Established by early climbing legends, the City of Rocks is a celebrated climbing destination with everything from classic, stout crack routes to 5-point-fun friction. After the snow melts in late spring through the first snows in late fall. Yes, signs are posted “on-leash”, watch for rattle snakes and ticks. From either entrance of the park, once the rock features of The City begin to come into view, its no wonder why this amazing “town” of granite is a destination for climbers. 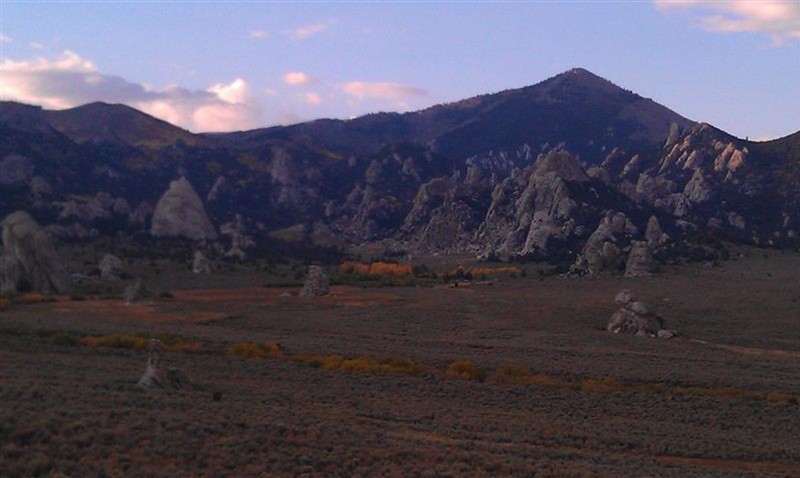 The City of Rocks National Reserve was established by legends of climbing like the Lowe brothers as a “crag” for practicing skills they would later use in the mountains. 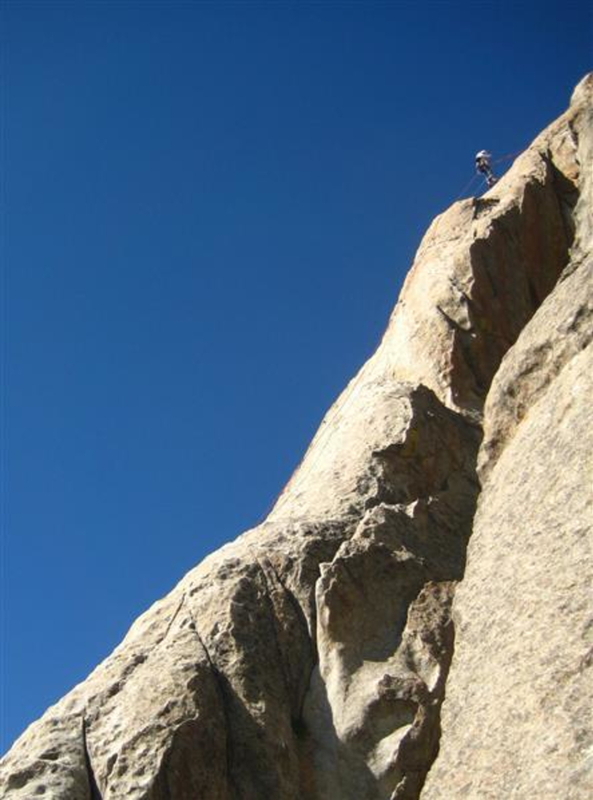 The granite rock offers incredible crack for superb trad climbing that is easy to access with minimal approaches. Sport climbing was established here when that style of climbing was new, controversial and hotly contested by trad purists who felt bolts had no place on the rock. Due to its early development, many sport routes can be run-out. But, The City has also benefitted from more recent route development for more “friendly” and closely spaced bolting. Elephant Rock offers an excellent introduction to the climbing in The City with Greg Lowe classics Rye Crisp (5.8, trad) and Wheat Thin (5.7, trad). A superb, moderate 2-pitch trad route is Lost Arrow, 5.7 on a spire of the same name with an exciting hanging rappel from chain anchors. If you’re looking for a steeper game, try the single pitch 5.11, Crack of Doom, on Morning Glory Spire, or Animal Cracker, a 2-pitch, 5.10a featuring a flake to an off-width. For those seeking sport, Rollercoaster on the west side of Bath Rock offers a very vertical and well-protected, 5.9. The Site 18 area features a friendly 5.7, 5.8 and 5.9 as well as great shade in the morning and afternoon. Looking for moderate multi-pitch? Look no further than the very popular routes on Steinfells Dome. Theater of Shadows, 4 pitches at 5.7 and Sinocranium, 7 pitches going at 5.8. Both “eat” quickdraws; take up to 16 draws, though some climbers do skip clipping bolts if they are reasonably confident. Climbers looking for spicier sport will want to get on Colossus, 5.10c on Bath Rock – West or Redtail, a 150’, 5.11a that has 15 bolts before the anchors. 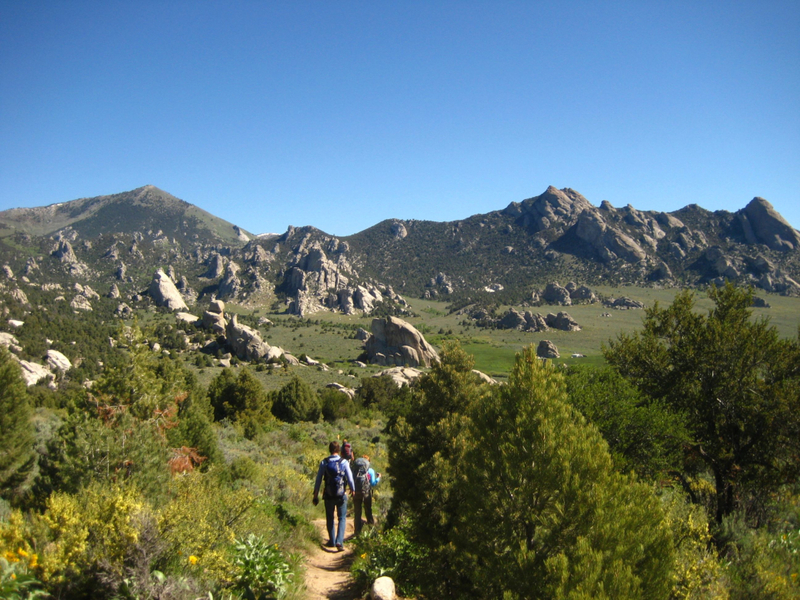 Use Mountain Project's "Best Routes for YOU" search option to do just that. After a long, hot day of climbing, clean up with a soak in Durfee Hot Springs in the town Almo on the east side of the park. Hours of operation change frequently so call ahead to verify. After your soak, head to Rock City Mercantile for a cold brew from their excellently stoked cooler, delicious freshly made pizza and any other camping odds and ends you might need, like athletic tape, s’mores fixings, and sunscreen. On the Oakley side, Searle’s at the corner of highway 27 and Main Street has a few groceries, gas, and superb milkshakes and breakfast sandwiches. Whether you prefer sport or trad, there are an incredible number of routes to be done that could easily take a year of weekends and weeks to send. Mountain biking and hiking are available for rest days. Campsites can be reserved ahead of time and it is advised that you do so if you want to secure a spot in the park. 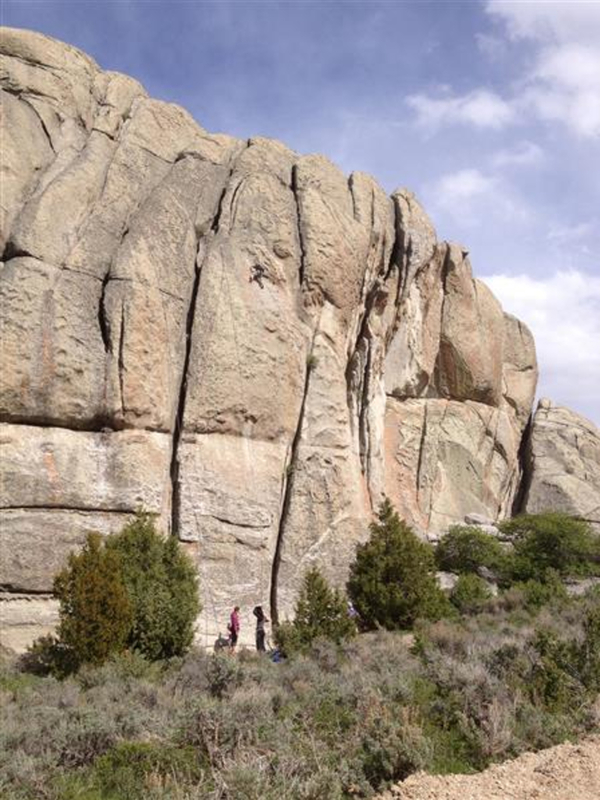 Holiday weekends are particularly popular for both climbers and non-climbing recreators alike. Water is available at the Parking Lot Rock parking area. 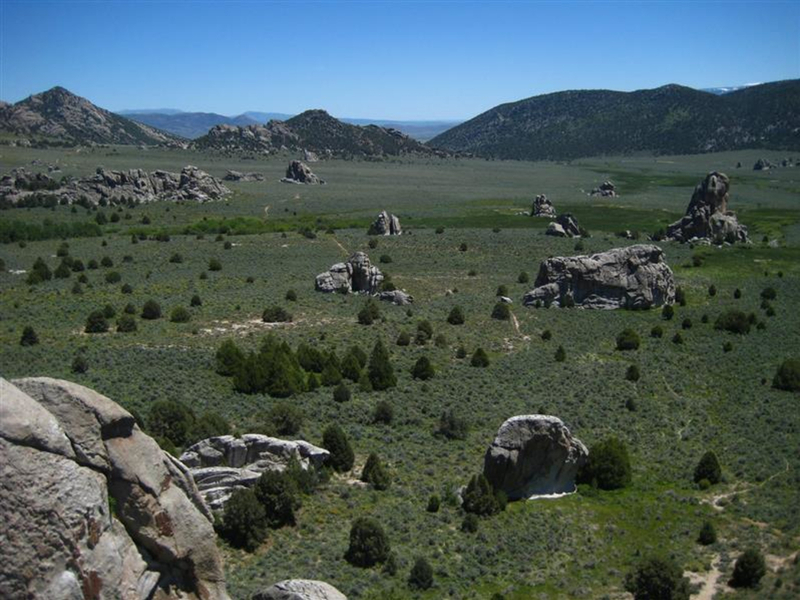 If all sites in the park are booked, there is BLM “camping” south of Almo. The City is ideal in the late spring and fall when temperatures are more moderate. Summer climbing is great too, but requires chasing the shade.